Ever thought of getting a massage while you're on your way to work, or coming back home after a long, tiring day or while on a trek? The answer is probably yes. And guess what? A Mumbai-based brand is here to materialise your dreams. 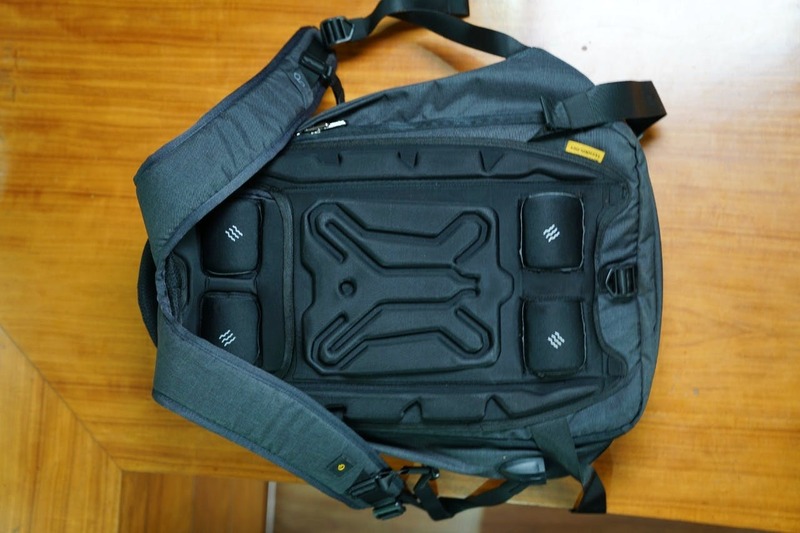 Though presently only retailing online, EUME has launched a killer range of backpacks that come with an in-built massager. By this we mean that you can actually get a massage on-the-go. The mechanism is simple. The backpack is fitted with an upper back and lower back massager, which can be switched on with one easy button located on the strap. To be able to operate it, you need to connect your power bank to a port inside the bag. It also has an in-built portable USB charger for all mobile devices, as well as anti-theft zippers. Say whaaat? Having tried it, we can guarantee that the massager works really well and actually helps alleviate back ache and relaxes the back and shoulder muscles. We highly recommend this for those who carry heavy laptops, or usually have super loaded bags. This one's also great for those who love going on treks. The bag is spacious enough for you to use it daily for work (with all that you need packed in) or great for easy and short getaways. The multiple sections in it ensure everything is neatly kept.